Star Trek Online: Triple Bonus Reward Weekend Starting Now! Greetings Captains! A few weeks back, we issued a call to arms for the community. We’re absolutely thrilled by the reaction to our promotion and are ready to distribute out the rewards for the hard work of our fans. 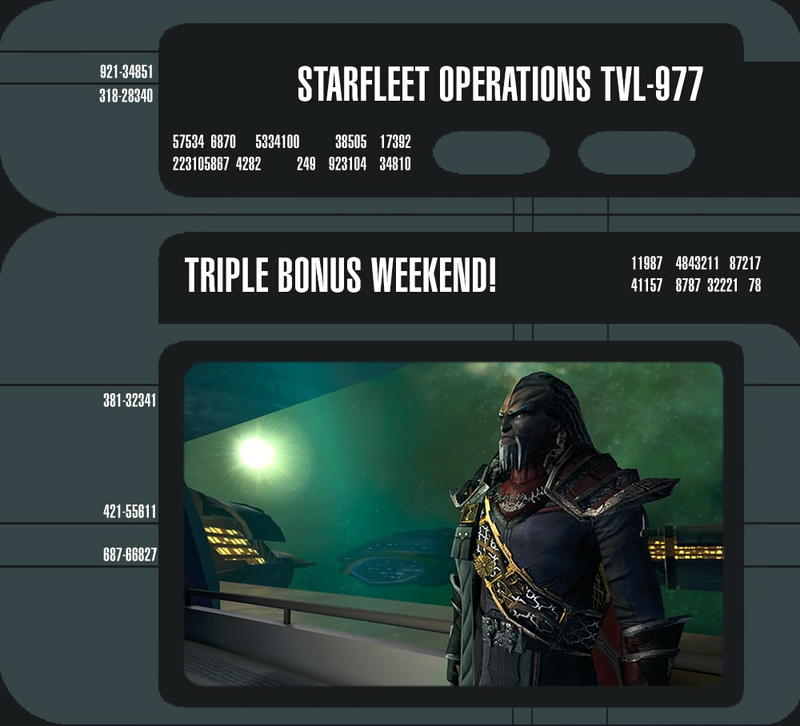 This weekend, Star Trek Online will be running a triple bonus reward including 100% bonus XP, marks and Dilithium. Along with these bonus events, players can also take part in our Fall ZEN charge bonus promotion that is running this weekend and the finale of the Iconian War with our newest featured episode, Midnight. Altogether, this weekend is absolutely packed to the brim with content for players to enjoy. We appreciate everything the community – both veterans and new players alike – has done for us as we continue our adventures through the galaxy. Thank you again and enjoy your weekend filled with Star Trek Online!